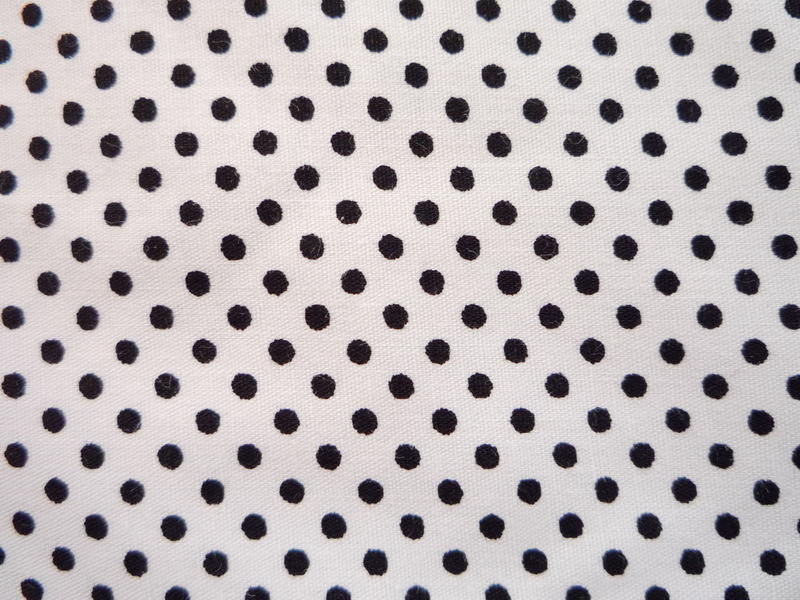 #277 Fabric Center has cotton fabric for 89 baht per meter. They have jelly rolls, fat quarters, and a remnant table! Brands include Pallette Pleasure and Brother and Sister Design Studio. 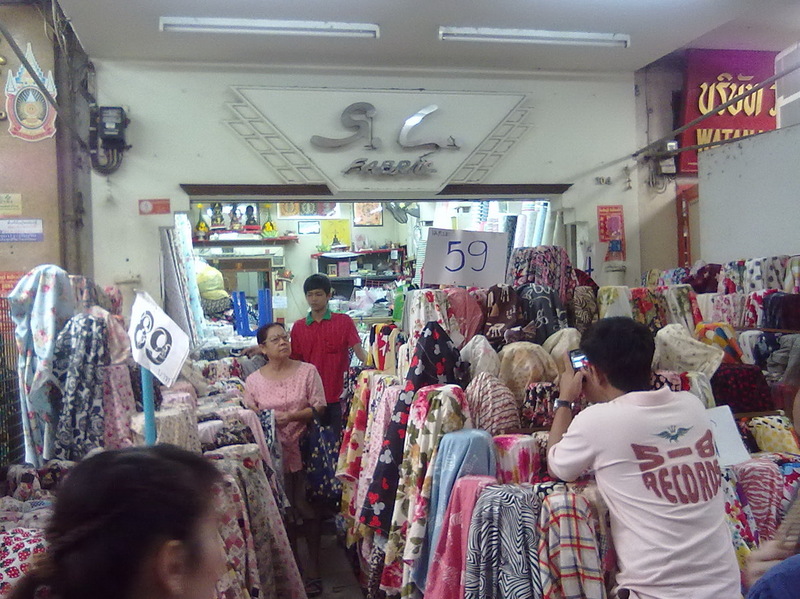 #150 Sampeng Lane, at 3 meters for 105 baht, Chuan Hua is the cheapest of all the cotton fabric shops. They have RJR and Jinny Beyer. The sarongs are back! #96 Vibul Kit has great new designs! 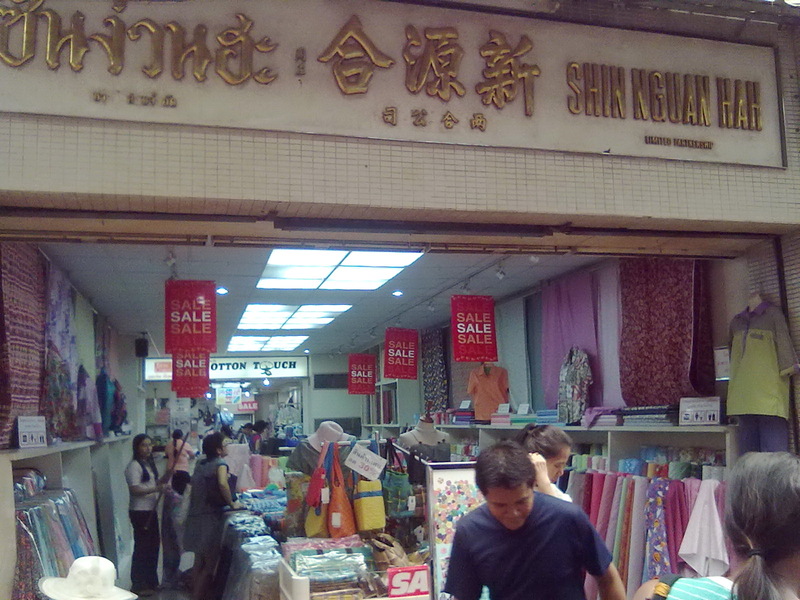 #67 Sampeng Lane, Kijrung Shop has feather boas, iron on Swarovski crystals, lace collars, tassels, applique ABC letters, bells and pearls. Passport cover in Sampeng? Thank you! I’ve heard those kind of things are at Khao San Road. But I don’t know where. There is a bead shop at #53 Sampeng Lane Jaroen Beads. Lots and lots of beads: hair beads, pearl beads, seed beads, wooden beads, painted beads large and small. Our favorite stop for quilt making equipment, Hong Garment Accessories, has the Hot Fix Crystal Wand and Swarovski crystals, teddy bear appliques with ABC letters of the alphabet, tiny pom poms, small buckles, chains, tassels, beads and clasps. They have imported items from Kiyohara. Khun Yui at #71 Sampeng has crochet collars, silk flowers, feathers, lace trim and sequin tape. Cute new Halloween fabric at Fabric House #277 Sampeng Lane. 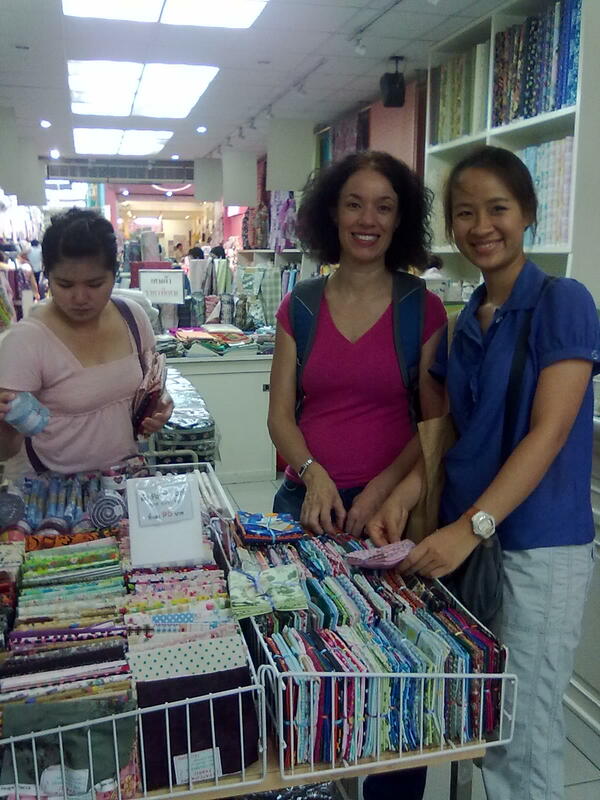 Pretty Quilt, located in the suburbs north of Bangkok, is open Monday through Saturday from 10:00 to 17:00. Closed on Sundays, and closed on the first Saturday of the month. 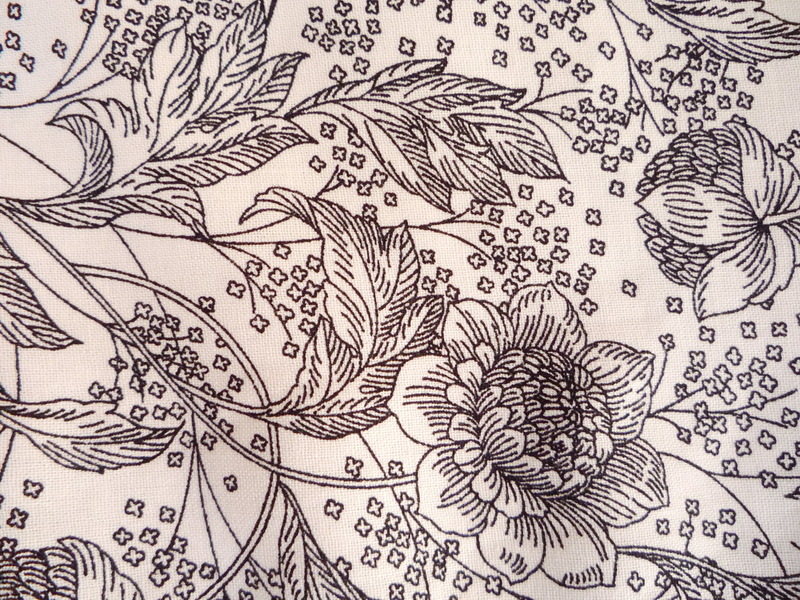 You can take a one-day quilting class, and learn the basics for beginners, or intermediate. The shop has everything you need to make a quilt, including fabric, thread and batting. 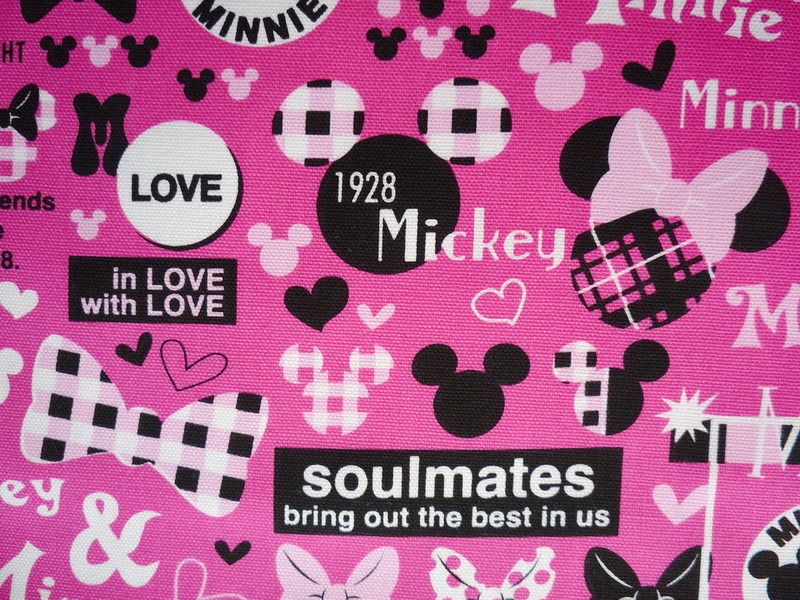 They have cotton batting in a 230 x 250 cm size (90 x 100 inches or about queen size) for 1800 baht. Batting comes in white, black or natural. 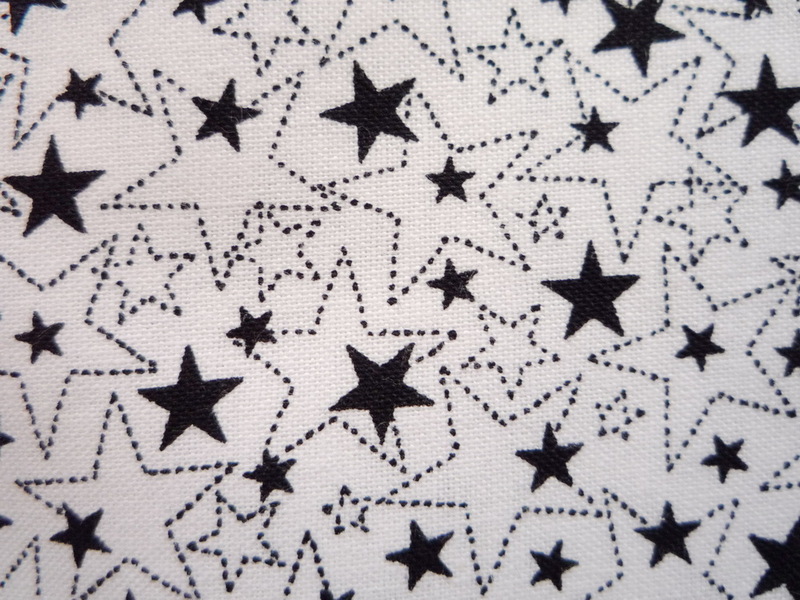 You can special order cotton or cotton blend batting from their sample book. What a great shop! 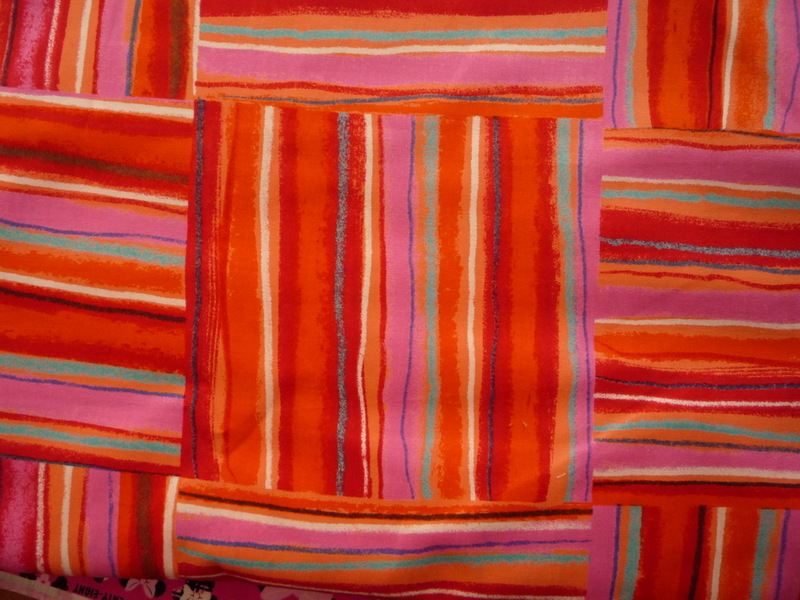 See Pretty Quilt on facebook! Nicole Park, the owner, shows us a cute bag you can learn to make at a class. Chinatown has pink banners up saying “long live the King”. Click on the video to play. Thailand is OK for tourists once again after the floods in October/November. We went shopping along Sampeng Lane and walked to Pahurat. 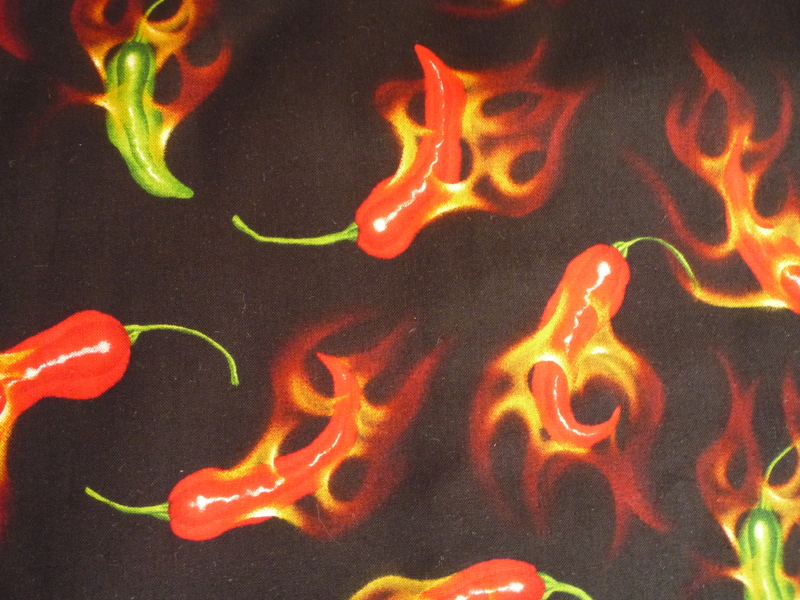 There is a good variety of quilt fabric, especially a lot of pretty Moda fabric. We shopped at China World mall and had lunch at the food court on the 3rd floor. It was a very nice day. 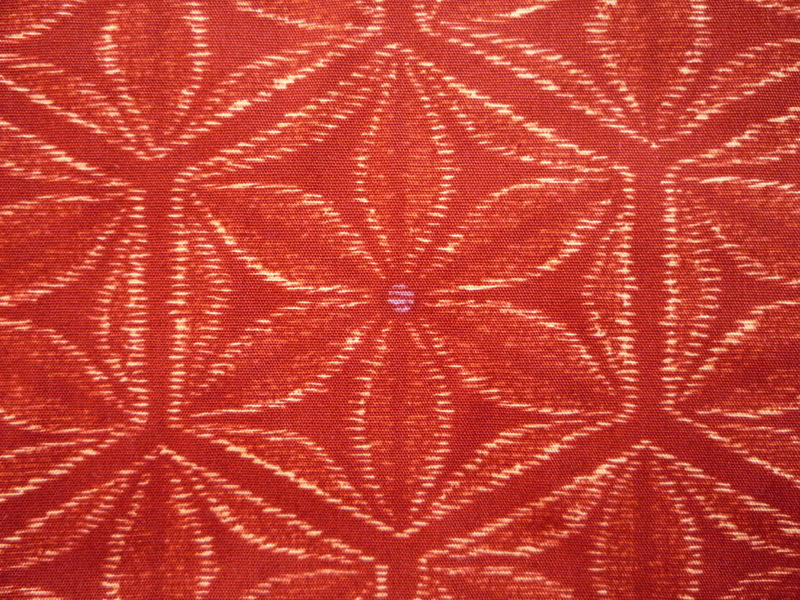 Moda fabric at 99 baht per yard in Pahurat. Knits at 180 baht per yard at China World Mall. http://www.travelfish.org/blogs/thailand/2011/04/27/souvenir-shopping-in-central-bangkok/ Try the places mentioned here: 1)Amarin Plaza, 2)fourth floor of Siam Paragon, and 3)government-run handicraft complex Narai Phand. 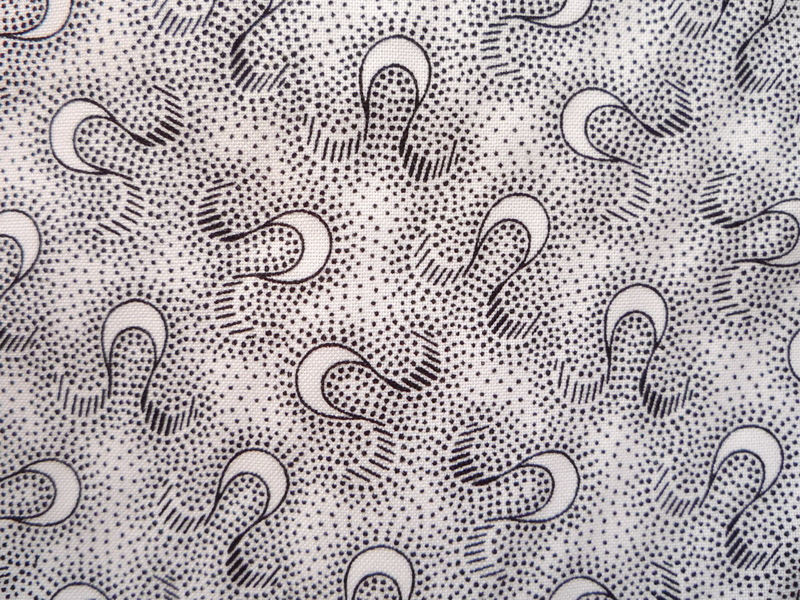 I will be in Bangkok in January and looking for mudmee fabric – new or old, cotton and/or silk. 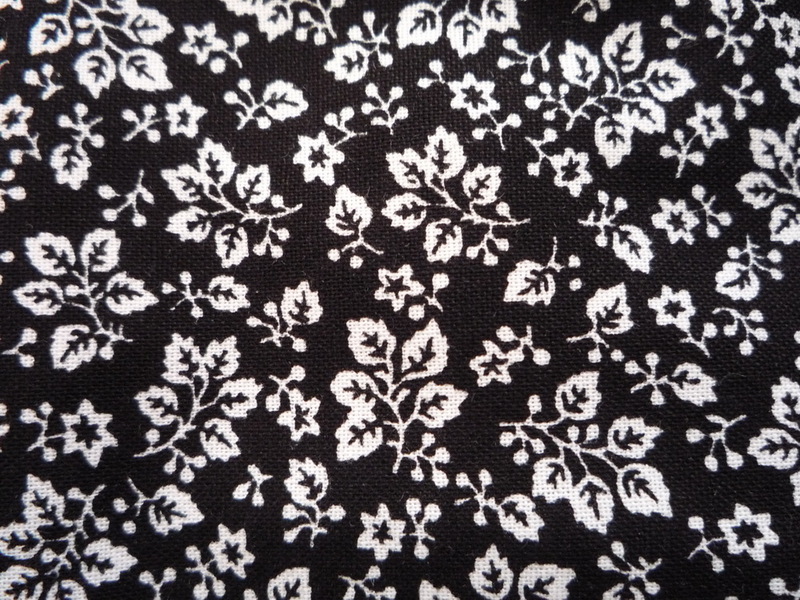 Can you recommend place(s) to buy quality traditional fabrics? Thank you, in advance. We had a fantastic shopping day! Here are the highlights. 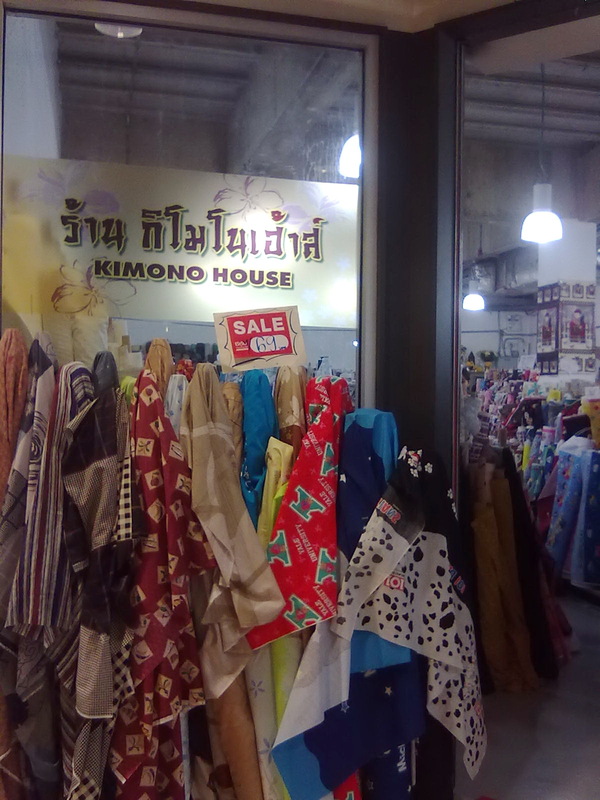 Fabric House #277 Sampeng Lane, has packs of 4 fat quarters for 150 baht, 1/2 yard cuts for 95 baht, jelly rolls for 250 baht, and marked down remnants. Spend 3200 baht and get a membership card which entitles you to a 10% discount. Fabric House has some new Halloween fabric. Don't forget you can also go to the branch at Central World on the 2nd floor near Isetan for the same great selection of quilt fabric. 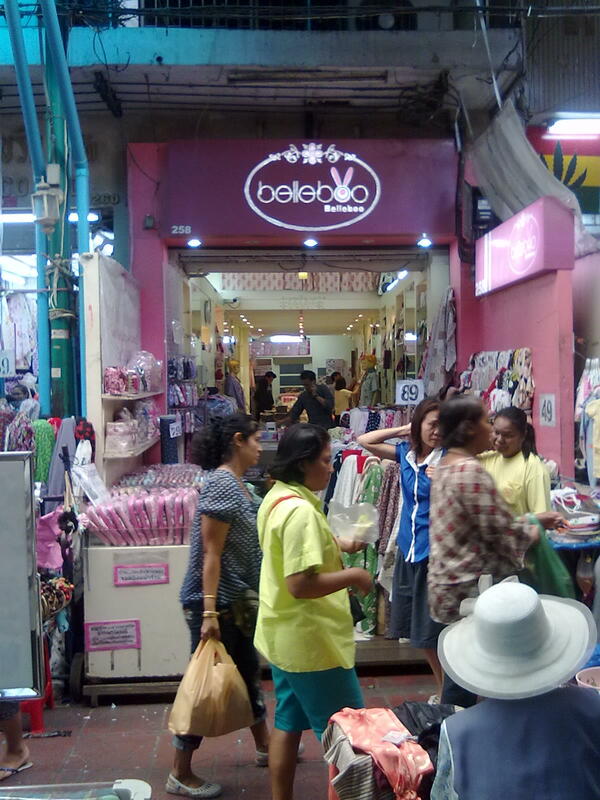 Belleboo #258 Sampeng Lane, has beautiful stripes, large florals and patchwork prints. Chuan Hua #150 Sampeng lane, 3 meters for 105 baht, also some at 50 baht per meter. Found some great black & whites see below. 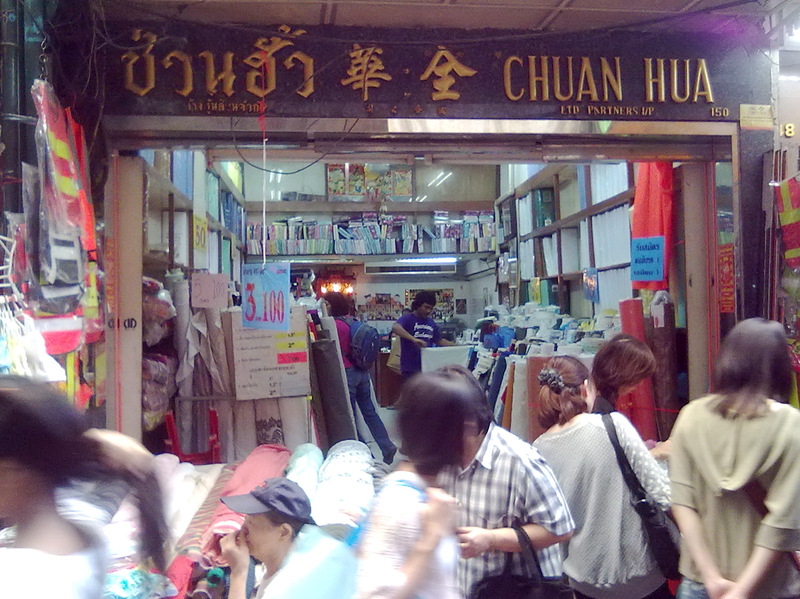 Chuan Hua #150 Sampeng lane. Minimum cut is 3 meters for the 35 baht fabric and 2 meters for the 50 baht fabric but it's so cheap you can't go wrong here. Stock up! SL #104 Sampeng Lane, carries the Belleboo line. 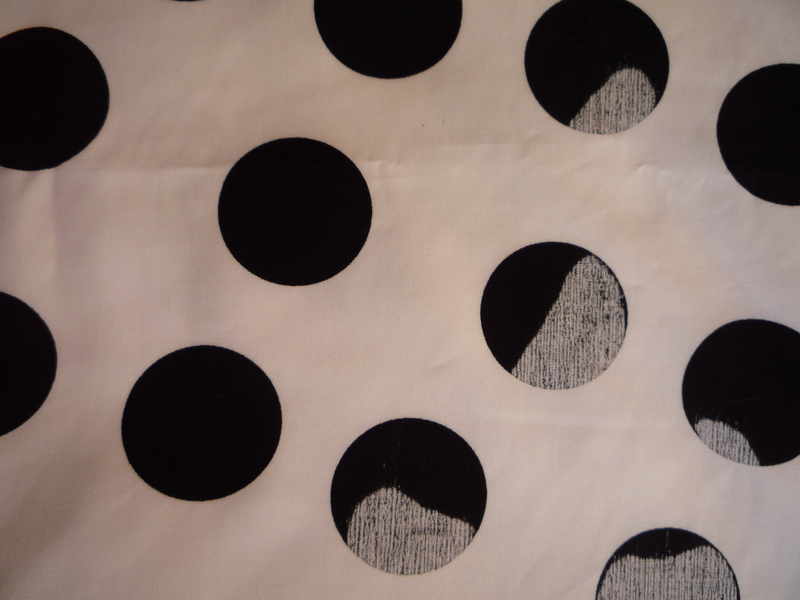 June got some cute Raggedy Ann prints with a vintage look. #89 Bangkok Thaviwat has erasable pencils for quilt marking. 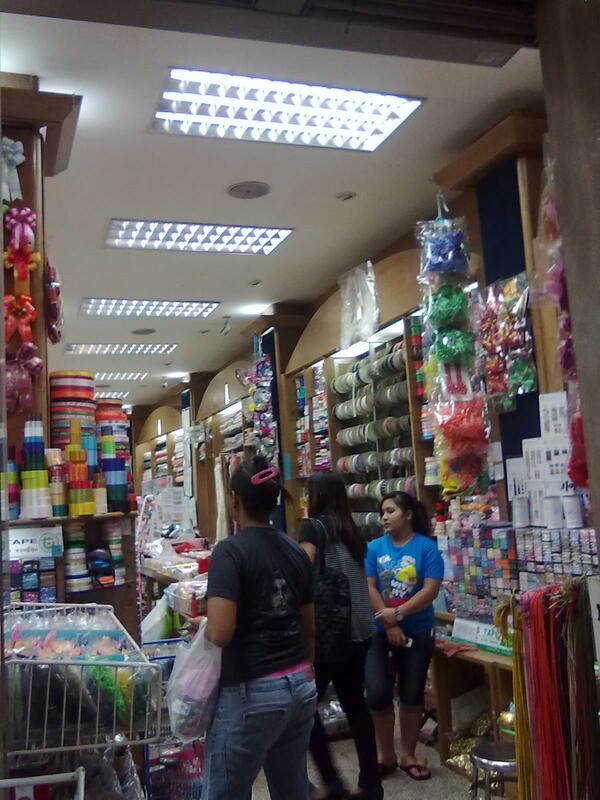 They have supplies for hair accessories too like metal hair clips to glue decorations on. Kimono House at Chinaworld in Pahurat, has novelty prints: Yale University (red in the pic), Winnie the Pooh, and 101 Dalmations. 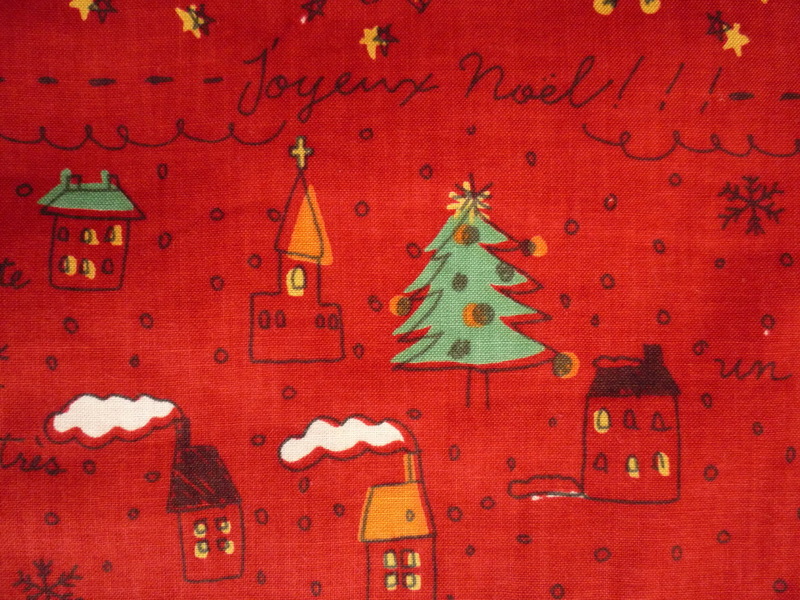 They have Christmas panels and lots of Christmas fabric. 110 baht per meter. 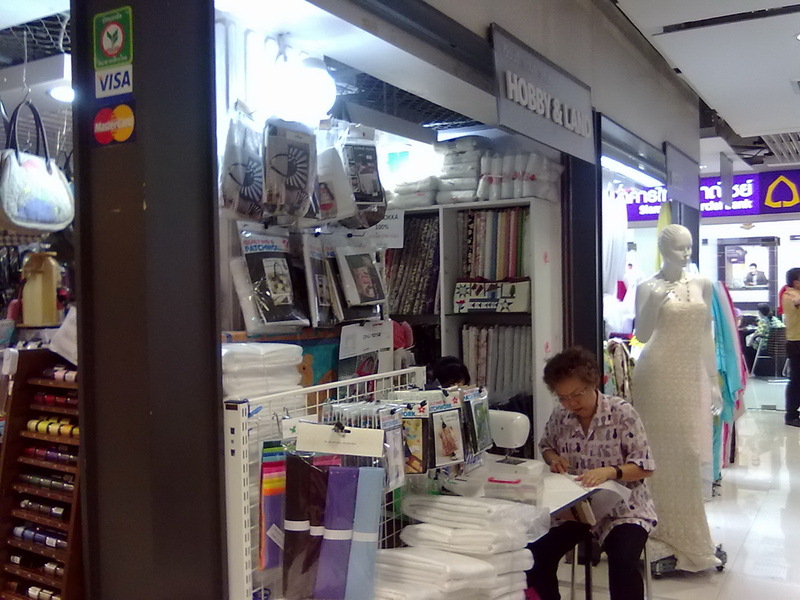 Chinaworld Mall has polyester batting and quilt frames at Hobby Land on floor 1. Are you looking for a home machine with multiple stitch programs or an industrial machine? I have a Singer Talent used only for 2 weeks for a project (still with guarantee voucher) and all kinds of industrial sewing machines; coverstitch, overlock, babylock, single needle, double needle and specialized equipment for professional garment productions. Please call me +66 (0)83 6 5000 72, I can send you a full list with prices. 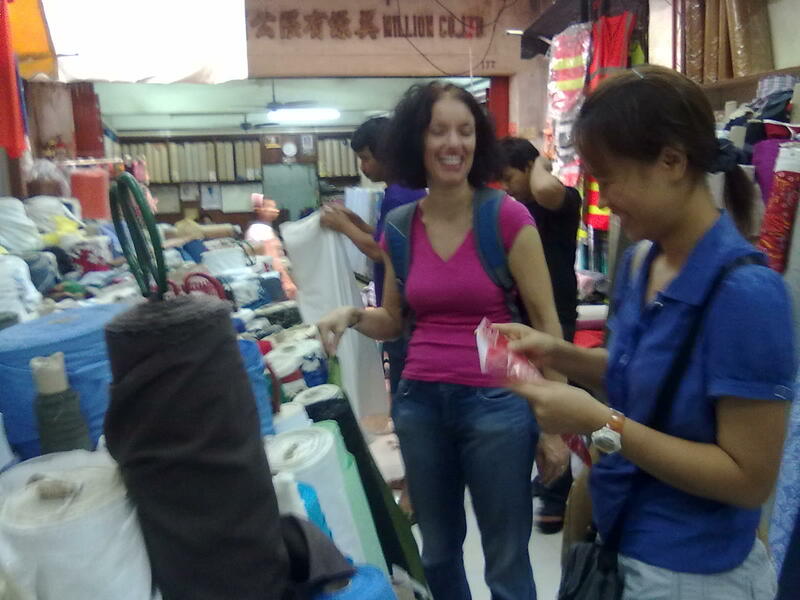 As I’ve got it this place – China Town – is not far from MRT Hua Lamphong, right? And can you recommend a place to buy a simple sewing machine (and not too expensive too) in Bangkok?